Marin Davidson interviews Bruce Pileggi, a Golden Age artist featured in the Wired Galley. This interview explores Pileggi’s past and delves into what motivated him to pursue a career in art, providing a look at one of New Paltz’s most prominent artists. 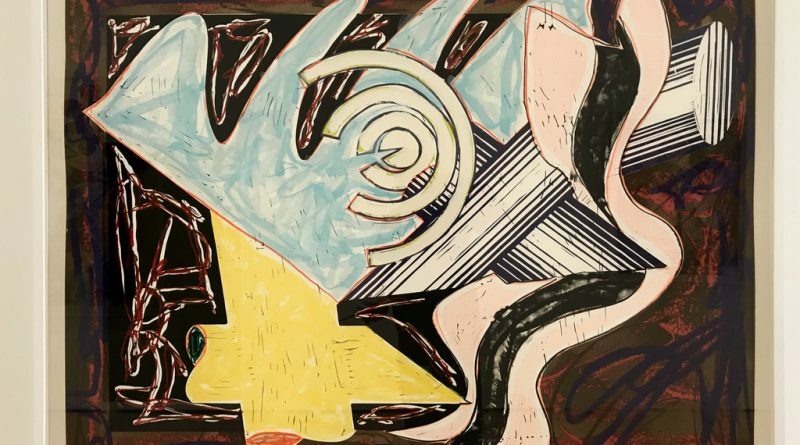 Editor’s note: This story’s featured image is artwork made by Frank Stella, a source of artistic inspiration for Bruce Pileggi. Bruce Pileggi is a multimedia artist residing in Gardiner, New York. Originally from Croton-on-Hudson, he attended SUNY New Paltz from 1966 through 1970. He is currently involved in a three-part exhibition called the Golden Age of New Paltz at Wired Gallery in High Falls. Pileggi, along with over 100 other artists featured in the exhibition, attended SUNY New Paltz in the ’60s, when art wasn’t necessarily a viable career option for many people. They saw the growth of art in all media, and saw its potential. These artists shaped the Fine Arts Program into what it is today. What kept you in the area? Proximity to New York City and its art scene, museums and galleries. 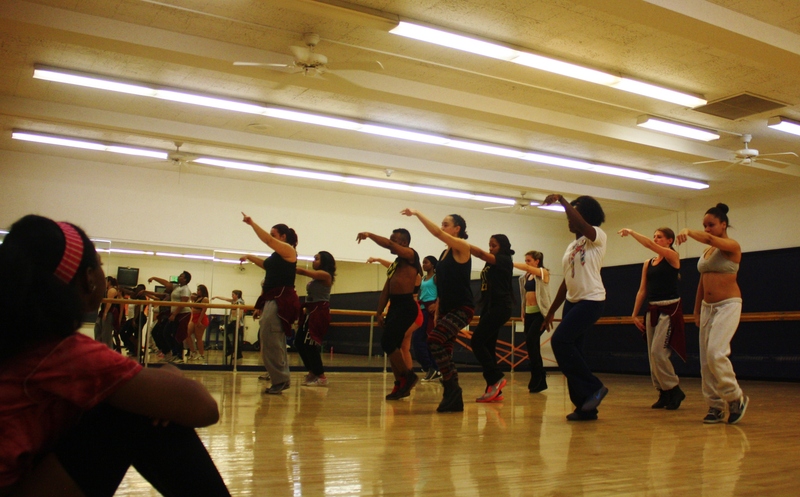 What inspired you to pursue art at SUNY New Paltz? I knew by the age of 3 that I wanted to be an artist and SUNY New Paltz accepted me into their art program even though I lacked the foreign language credits. Luckily the professors at the time were very willing to hang with us and to treat us as equals; they were very heady times. 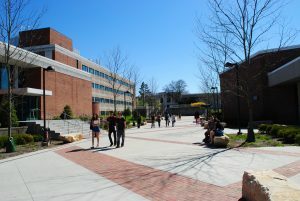 What has changed the most about New Paltz since you attended? It’s become more gentrified. Fifty years ago during intersession the town was a quiet, little, quaint village. Now the town seems to be open for business 24/7. What inspires your work now? Has it always been the basis for your work? In the past the work of Frank Stella and more importantly, the work of Mark Rothko. Today I’m inspired by my desire to follow my impulses, to listen to that which surrounds and the work I see at museums and galleries in NYC. 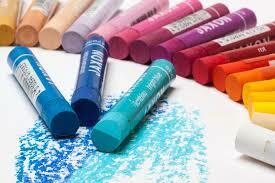 I work mostly with charcoal on raw canvas but lately I’ve been using pastels in order to introduce color to my pieces. Who was the most influential figure in your time at SUNY New Paltz? Why? Three professors: Manny Bromberg, Joop Saunders and Herman Cherry. I had a studio off campus and they all not only came to my studio to look at my work, they also encouraged me to follow my dream to become a full-time artist and not pursue a degree in teaching. What was the political climate like in New Paltz during your time here? Much more right wing then it is even today. I was part of a small group of students protesting the war in Vietnam. I remember a group of us numbering no more than two dozen protesting outside of the old SUB and being surrounded by hundreds of other students cat-calling, flag waving and screaming at us that we were un-American and that we should leave if we didn’t love this country. What is it like being in an exhibition with your former classmates again? It’s been a combination of a class reunion and a continuation of the spirit and feeling of the ’60s, which was one of sharing and not one of competition. I’m happy for my former classmates and feel glad that we could come together again, even if only for a brief moment.